Taking a Caribbean cruise? See special requirements for Cruise Ship passengers. If you do require an entry visa to visit Barbados, you MUST submit your application for processing and be granted your visa prior to you booking your trip. Visas are not issued on arrival at the Barbados airport. Applicants for visas must complete form in duplicate. The form is to be accompanied by two (2) passport size photographs. The fee for a single entry visa is BDS$200.00 and for a multiple entry visa is $400.00. 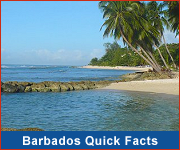 Visas may be obtained from any of Barbados' Missions and consulates overseas. 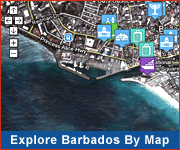 Contact your nearest Barbados Tourism Authority office for application forms and requirements.